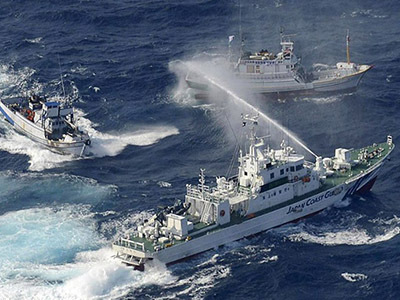 The standoff between Japan and China escalated to a new level after both sides sent their jets to tail each other in airspace near the cluster of disputed islands that has created tension between the two powers. 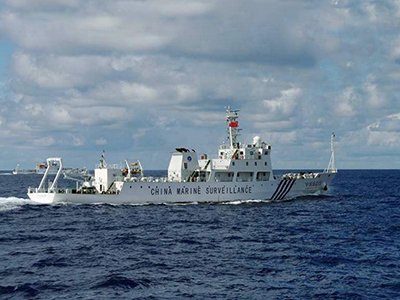 A Chinese Y-8 transport plane flew near the vicinity of the Diaoyu or Senkaku islands (as they are known by the Chinese and the Japanese respectively) on what the Defense Ministry in Beijing described as a “routine patrol” on Thursday. It was immediately tailed by a Japanese F-15. 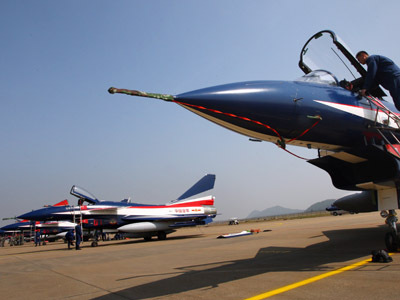 Chinese authorities then ordered two more J-10 planes into the air, to perform “verification and monitoring” on the Japanese aircraft. 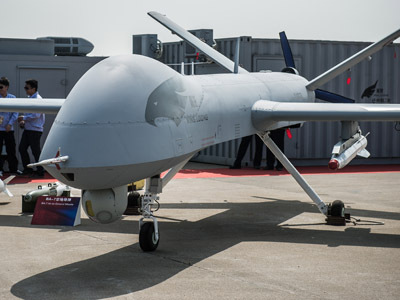 "Aircraft from Japan's Self-Defense Forces have intensified their surveillance activities against China, and expanded the area of their scope, disturbing the normal patrols and training of Chinese civilian and military aircraft," said a spokesman from China’s Ministry of Defense. A Foreign Ministry spokesman followed with another statement, accusing Tokyo of “creating tension”. Japanese officials responded by claiming that Chinese planes have increasingly intruded into the airspace above the islands, which are currently owned by Japan. They noted that over the past year alone jets protecting the area had to be scrambled over 150 times, though it is not clear how many of those were a reaction to China’s presence. The Senkaku Islands, located in the East China Sea, have been controlled by Japan since 1895, but China insists that it has historic rights to them dating back to the 16th century. The archipelago, which is halfway between both countries, is currently uninhabited, but the ground below could house significant mineral resources. "Our stance that we will adamantly protect our waters and territories has not changed at all. As I said before, there is no room for negotiations," said Japanese Prime Minister Shinzo Abe in the wake. 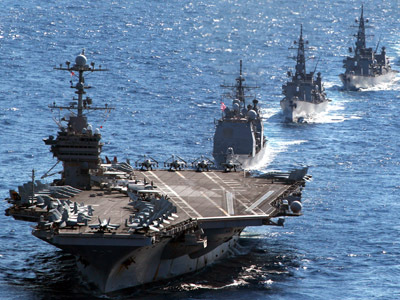 Japan has just increased its defense budget for the first time in 11 years, while China’s has more than quintupled over the past decade and now trails that only of the US. For some time the islands have proven a blight in relations, with nationalist politicians from both sides increasing their rhetoric in recent years, but tensions have grown rapidly since the Japanese government purchased all privately owned islands in September last year. This provoked outrage in China, which turned into several violent demonstrations, with Japanese stores ransacked across the country. Some Chinese workers also organized strikes against Japanese employers. Economic ties between Asia’s two biggest economies, which amount to an annual trade of $340 billion, have also been damaged, with Japanese businesses withdrawing investment, and Chinese ones looking for suppliers elsewhere. 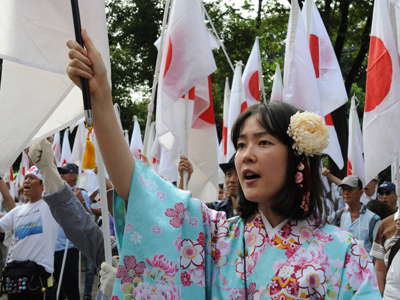 Some have estimated that Japan has lost up to 1 per cent of GDP as a result of the dispute.